Iconographic Features: Feline Serpent (FS-3) depicted with feline head, human arms, and elongated human body with legs. Body with enclosed band (featherwork). Pepino or capsicum pepper (ají) emanating from the body. FS-3 holds pepino or capsicum pepper (ají), and wears an unusual type of mouth mask in the shape of a bicephalic serpent. Description: textile border, Paracas Block Color Style, Staatliches Museum für Völkerkunde München (Munich, Germany). Chronological Era: Early Intermediate Period 2. Iconographic Features: Anthropomorphic Mythical Being with Snake Hair holding fan and staff (club?). Extended tongue in the shape of a serpent with Feline Serpent attached. Tunic is flanked by two snake streamers. Shoulders replaced by beans. Description: Göteborg Textile, G.E.M. 35.32.179. Chronological Era: Early Intermediate Period (EIP), Nasca 2/3. Iconographic Features: Anthropomorphized Forehead Ornament with extended tongue holding a trophy head by the hair. The tip of the extended tongue touches the trophy head. Iconographic Features: man holding fan and staff (club?). A similar posture can be seen in CL 333. Iconographic Features: Anthropomorphized Manioc (yuca). Description: double spout bottle, C-09544, M.N.A.A.H.-Lima. Iconographic Features: Anthropomorphized Isopod holding trophy head. Iconographic Features: Anthropomorphized Crayfish depicted with feline head, human arms, crayfish body and serpent body with feline head attached. It holds a bloody club. The painting reminds to the one in CL 97 and might be from the same region (or workshop?). Iconographic Features: Anthropomorphized Crayfish depicted with feline head, human arms and crayfish body. It holds a bloody club. Trophy heads with carrying cords are attached to the back. A sleeve and a border made of featherwork indicate clothing. Iconographic Features: Anthropomorphized Crayfish depicted with feline head, human arms and legs, and crayfish body. It holds a club. Sleeve and loincloth indicate clothing. Iconographic Features: Man spewing water. Water is indicated by the representation of crayfishes, pollywogs and a fish. Description: cup bowl, C-33044, M.N.A.A.H.-Lima. Iconographic Features: One of the most outstanding representations of the Masked Mythical Being (Anthropomorphic Mythical Being) showing a wide range of colours. It is depicted with feline head, snake body (signifer), and human torso with legs. The snake body is spiked along its border, with trophy heads between its projections. End of the signifer in the shape of a human/feline head (with headband). The Masked Mythical Being holds a bloody club and a trophy head. 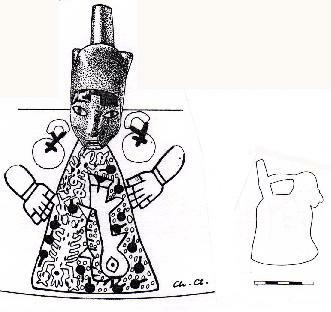 Tunic shows “eye motif”. One of a pair of cup bowls. Description: cup bowl, ID number missing, location unknown. Iconographic Features: Masked Mythical Being (Anthropomorphic Mythical Being) holding a forehead ornament and pepino fruits. 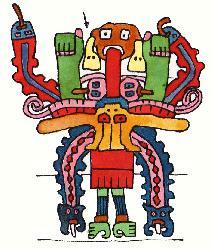 It is depicted with feline head, snake body (signifer), and human torso with legs. Snake body with trophy heads attached to its border. Trophy heads with sprouting pepino fruits emanating from the mouth. Extended tongue in the shape of a snake body that terminates in a feline head. End of the signifer in the shape of a feline head. Headdress of the Masked Mythical Being shows sprouting pepino fruits. Description: bowl, ID number missing, location unknown. Iconographic Features: Masked Mythical Being (Anthropomorphic Mythical Being) depicted with feline head, snake body (signifer), and human torso with legs. The snake body is spiked along its border, with trophy heads between its projections. End of the signifer in the shape of a human/feline head (with headband). The Masked Mythical Being holds a club. Iconographic Features: Serpent Mythical Being (Masked Mythical Being, Anthropomorphic Mythical Being) depicted with feline head, snake body (signifier), human arms and human legs. Snake body is spiked along its border and with snakes/Spondylus pectorals (?) enclosed. End of the signifier in the shape of a human (female?) head. 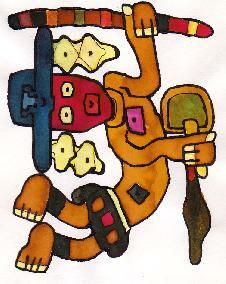 The Masked Mythical Being holds a club. 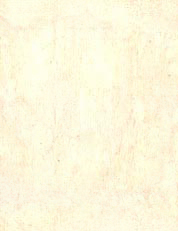 The representation of a sleeve, a tunic’s border and a loincloth indicate clothing.